Spend a zen-sational evening working with soy-based wax, scented oils, and unique decorative elements to craft custom candles. 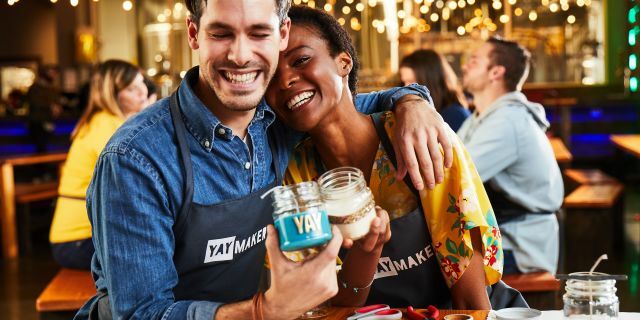 Our master crafter will guide you and your friends step-by-step through this 2-hour event to make a custom creation perfect for trading, gifting, or treating yourself. Click the link to learn more and purchase a ticket for only $45 per person.